Source: "Water Transportation Occupations". U.S. DOL, Bureau of Labor Statistics. Retrieved March 31, 2007. Note: Of these, 51 are foreign-owned: Australia 2, Canada 4, Denmark 24, Germany 2, Greece 1, Malaysia 4, Netherlands 4, Norway 2, Singapore 2, Sweden 5, Taiwan 1. 700 United States ships are registered in other countries: Antigua and Barbuda 7, Australia 3, Bahamas 121, Belize 5, Bermuda 27, Cambodia 8, Canada 2, Cayman Islands 41, Comoros 2, Cyprus 7, Greece 1, Honduras 1, Hong Kong 21, Ireland 2, Isle of Man 3, Italy 15, North Korea 3, South Korea 7, Liberia 93, Luxembourg 3, Malta 3, Marshall Islands 143, Netherlands 13, Netherlands Antilles 1, Norway 13, Panama 94, Peru 1, Philippines 8, Portugal 1, Puerto Rico 3, Qatar 1, Russia 1, Saint Vincent and the Grenadines 21, Sierra Leone 1, Singapore 7, Spain 7, Sweden 1, Trinidad and Tobago 1, United Kingdom 6, Vanuatu 1, Wallis and Futuna 1. 2006 estimates. As of October 1, 2018, the United States merchant fleet had 181 privately owned, oceangoing, self-propelled vessels of 1,000 gross register tons and above that carry cargo from port to port. Nearly 800 American-owned ships are flagged in other nations. In the 19th and 20th centuries, various laws fundamentally changed the course of American merchant shipping. These laws put an end to common practices such as flogging and shanghaiing, and increased shipboard safety and living standards. The United States Merchant Marine is also governed by more than 25 (as of February 17, 2017) international conventions to promote safety and prevent pollution. P.L. 95–202, approved November 23, 1977, granted veteran status to Women Airforce Service Pilots and "any person in any other similarly situated group" with jurisdiction for determination given to the Secretary of Defense who delegated that determination to the Secretary of the Air Force. Although the Merchant Marine suffered a per capita casualty rate greater than those of the US Armed Forces, merchant mariners who served in World War II were denied such veterans recognition until 1988 when a federal court ordered it. The Court held that "the Secretary of the Air Force abused its discretion in denying active military service recognition to American merchant seamen who participated in World War II." Mates direct a ship's routine operation for the captain during work shifts, which are called watches. Mates stand watch for specified periods, usually in three duty sections, with four hours on watch and eight hours off. When on a navigational watch, mates direct a bridge team by conning, directing courses through the helmsman and speed through the lee helmsman (or directly in open ocean). When more than one mate is necessary aboard a ship, they typically are designated chief mate or first mate, second mate and third mate. In addition to watch standers, mates directly supervise the ship's crew, and are assigned other tasks. The chief mate is usually in charge of cargo, stability and the deck crew, the second mate in charge of navigation plans and updates and the third mate as the safety officer. They also monitor and direct deck crew operations, such as directing line handlers during moorings, and anchorings, monitor cargo operations and supervise crew members engaged in maintenance and the vessel's upkeep. Engine officers, or engineers, operate, maintain, and repair engines, boilers, generators, pumps, and other machinery. Merchant marine vessels usually have four engine officers: a chief engineer and a first, second, and third assistant engineer. On many ships, Assistant Engineers stand periodic watches, overseeing the safe operation of engines and other machinery. However, most modern ships sailing today utilize Unmanned Machinery Space (UMS) automation technology, and Assistant Engineers are Dayworkers. At night and during meals and breaks, the engine room is unmanned and machinery alarms are answered by the Duty Engineer. Able seamen and ordinary seamen operate the vessel and its deck equipment under officer supervision and keep their assigned areas in good order. They watch for other vessels and obstructions in the ship's path, as well as for navigational aids such as buoys and lighthouses. They also steer the ship, measure water depth in shallow water, and maintain and operate deck equipment such as lifeboats, anchors, and cargo-handling gear. On tankers, mariners designated as pumpmen hook up hoses, operate pumps, and clean tanks. When arriving at or leaving a dock, they handle the mooring lines. Seamen also perform routine maintenance chores, such as repairing lines, chipping rust, and painting and cleaning decks. On larger vessels, a boatswain — or head seaman — will supervise the work. Marine oilers and more experienced qualified members of the engine department, or QMEDs, maintain the vessel in proper running order in the engine spaces below decks, under the direction of the ship's engine officers. These workers lubricate gears, shafts, bearings, and other moving parts of engines and motors; read pressure and temperature gauges, record data and sometimes assist with repairs and adjust machinery. Wipers are the entry-level workers in the engine room, holding a position similar to that of ordinary seamen of the deck crew. They clean and paint the engine room and its equipment and assist the others in maintenance and repair work. With more experience, they become oilers and firemen. As of 2011, a typical deep-sea merchant ship has a captain, three mates, a chief engineer and three assistant engineers, plus six or more unlicensed seamen, such as able seamen, oilers, QMEDs, and cooks or food handlers known as stewards. Other unlicensed positions on a large ship may include electricians and machinery mechanics. The merchant marine was active in subsequent wars, from the Confederate commerce raiders of the American Civil War, to the assaults on Allied commerce in the First and in the Second World Wars. 3.1 million tons of merchant ships were lost in World War II. Mariners died at a rate of 1 in 26, which was the highest rate of casualties of any service. All told, 733 American cargo ships were lost and 8,651 of the 215,000 who served perished in troubled waters and off enemy shores. The Military Sealift Command was also involved in the Iraq War, delivering 61,000,000 square feet (5,700,000 m2) of cargo and 1,100,000,000 US gallons (4,200,000 m3) of fuel by the end of that year. Merchant mariners were recognized for their contributions in Iraq. For example, in late 2003, VADM David L. Brewer III, Military Sealift Command commander, awarded the crew of MV Capt. Steven L. Bennett the Merchant Marine Expeditionary Medal. The World War II era was the peak for the U.S. fleet. During the post-war year of 1950, for example, U.S. carriers represented about 43 percent of the world's shipping trade. By 1995, the American market share had plunged to 4 percent, according to a 1997 report by the U.S. Congressional Budget Office (CBO). The report states, "the number of U.S.-flag vessels has dropped precipitously — from more than 2,000 in the 1940s and 850 in 1970 to about 320 in 1996." A diminishing U.S. fleet contrasted with the burgeoning of international sea trade. For example, worldwide demand for natural gas led to the growth of the global liquefied natural gas (LNG) tanker fleet, which reached 370 vessels as of 2007. In 2007 the United States Maritime Administration (MARAD) set uniform LNG training standards at U.S. maritime training facilities. While short-term imports are declining, longer term projections signal an eightfold increase in U.S. imported LNG by 2025, the worldwide LNG fleet does not include a single U.S. flagged vessel. Moreover, only five U.S. deepwater LNG ports were operational in 2007, although permits have been issued for four additional ports, according to MARAD. The Military Sealift Command (MSC) — an arm of the Navy — serves the entire Department of Defense as the ocean carrier of material during peacetime and war. MSC transports equipment, fuel, ammunition, and other goods essential to United States armed forces worldwide. Up to 95% of all supplies needed to sustain the U.S. military can be moved by Military Sealift Command. As of February 2017, MSC operated approximately 120 ships with 100 more in reserve. More than 5,500 civil service or contract merchant mariners staff the ships. USNS Big Horn, a Henry J. Kaiser-class replenishment oiler, crewed by United States Merchant Mariners. Unlimited tonnage deck officers (referred to as mates) and engine officers are trained at maritime academies, or by accumulating sea-time as a rating on an unlimited tonnage ship along with passing certain training courses. Officers hold senior leadership positions aboard vessels, and must train over several years to meet the minimum standards. At the culmination of training, potential deck officers must pass an extensive examination administered by the U.S. Coast Guard that spans five days. Upon meeting all requirements and passing the final license examination, new deck officers are credentialed as third mates or third assistant engineers. To advance in grade, such as to 2nd Mate or 2nd Engineer, sea time in the prior grade and additional endorsements and testing are required. The term "unlimited" indicates that there are no limits that the officer has in relation to the size and power of the vessel or geographic location of operation. Aerial view of United States Merchant Marine Academy. Joseph Banks Williams was the first African American to graduate from the Academy, in 1944. George W. Bush delivering the commencement address at the United States Merchant Marine Academy. For part of sophomore and junior year, known at the Academy as third class and second class years, midshipmen work as cadets on American-flagged unlimited tonnage merchant ships. Midshipmen are typically paired two to a ship, one engine cadet and one deck cadet. Midshipmen work and function as part of the crew and gain an opportunity for generous amounts of hands-on experience as well as the opportunity to travel abroad to many different foreign ports. The average midshipman travels to 18 countries during this period, which totals a minimum of 300 days. Due to this absence from the Academy, the remaining three academic years span from late July, through mid-June. Maine Maritime Academy cadets enduring regimental preparatory training. Like the Federal USMMA, the following six state maritime academies offer the same training and licensing opportunities for future United States Merchant Marine officers, with varying USCG-approved programs. Each academy operates their own training ship, which are owned by the US Government and loaned to the academy. These ships act as training laboratories during the academic year, and are sailed on by the cadets during training cruises for months at a time. One example of a training ship is USTS Golden Bear, at the California Maritime Academy. Unlicensed personnel (synonymous with ratings) are generally trained through several private programs funded by maritime unions, shipping companies, or by one's own expense. An example training institution would be the Paul Hall Center for Maritime Training and Education, or better known as "Piney Point." Generally the merchant mariner works their way up through the rates with sea time on the job. Entry level ratings would be ordinary seaman in the deck department and marine wiper in the engine department. Senator La Follette (center), with maritime labor leader Andrew Furuseth (left) and muckraker Lincoln Steffens, circa 1915. 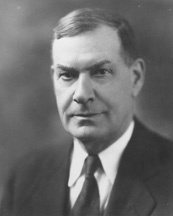 The Jones Act was sponsored by Senator Wesley Livsey Jones of Washington. The "Merchant Marine Act of 1920", often called "The Jones Act", required U.S.-flagged vessels to be built in the United States, owned by U.S. citizens, and documented ("flagged") under the laws of the United States. Documented means "registered, enrolled, or licensed under the laws of the United States". The Act also required that all officers and 75% of the crew be U.S. citizens. Vessels satisfying these requirements comprised the "Jones Act Fleet", and only these vessels were allowed to engage in "cabotage", or carrying passengers or cargo between two U.S. ports. There are countries in which, due to lower labor standards and prevailing wages, are much cheaper to document a vessel than the United States. Critics of the act claim it unfairly restricts the lucrative domestic shipping business. Another important aspect of the Act is that it allowed injured sailors to obtain compensation from their employers for the negligence of the owner, the captain, or fellow members of the crew. Paul L. Krinsky seen wearing the Navy reserve Merchant Marine insignia and Merchant Marine officer's crest. John Paul Jones sailed as both third mate and chief mate, then went on to become the "Father of the American Navy". In 2017, Sadie O. Horton, who spent World War II working aboard a coastwise U.S. Merchant Marine barge, posthumously received official veteran’s status for her wartime service, becoming the first recorded female Merchant Marine veteran of World War II. Sadie Horton was one of six from a single family serving on outdated barges to assist in moving bulk war materials to defense plants and coal to the power plants along the eastern coast. This was necessary due the United States losing many ships to enemy U-boat action along the coast faster than they could be replaced. Writers Richard Henry Dana, Jr., Ralph Ellison, Herman Melville, Louis L'Amour, and Jack Vance were merchant mariners, as were prominent members of the Beat movement: Allen Ginsberg, Herbert Huncke, Bob Kaufman, Jack Kerouac, Hubert Selby Jr. and Dave Van Ronk. Peter Baynham, the coauthor of the film Borat, and Donn Pearce, who wrote the movie Cool Hand Luke, were formerly merchant mariners. Popeye was a merchant mariner before joining first the U.S. Coast Guard. On the popular 1960s television sitcom "Leave It To Beaver" Wally's friend Lumpy receives informational book and application for the merchant marines. ^ Many English-speaking countries call their fleet the Merchant Navy. 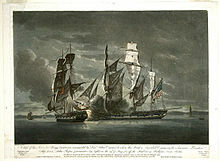 Terms similar to merchant marine are used in, for example, the French Marine Marchande and the Spanish Marina Mercante. ^ Maritime Administration. "Frequently Asked Questions—What does the Maritime Administration do?". Maritime Administration. Retrieved April 20, 2013. ^ "Become a Merchant Marine with America's Navy : Navy.com". www.navy.com. Retrieved August 9, 2016. ^ Office;, Webmaster: David Brown; Command, Control, Communications and Computer Systems Directorate; Code N6; phone 202-685-5326 e-mail: webmaster@msc.navy.mil. Approval authority: MSC Public Affairs. "Sealift -- New direction for merchant mariners in Navy Reserve". www.msc.navy.mil. Retrieved August 9, 2016. ^ "Strategic Sealift Officer". Retrieved August 9, 2016. ^ a b "Department of Transportation: Consolidated Fleet Summary" (PDF). www.maritime.dot.gov/sites/marad.dot.gov. US Department of Transportation, Maritime Administration - Office of Policy and Plans. October 1, 2018. Retrieved February 3, 2019. ^ a b In 2006, 264 American ships are registered in the Bahamas and the Marshall Islands, widely considered flag of convenience countries. ^ a b "United States". CIA World Factbook. Retrieved March 13, 2007. ^ "Water Transportation Occupations". U.S. DOL, Bureau of Labor Statistics. Retrieved March 31, 2007. ^ "Shanghaied!". www.americanheritage.com. Retrieved February 17, 2017. ^ a b "Conventions". www.imo.org. Retrieved February 17, 2017. ^ a b "Summary of IMO conventions". www.uscg.mil. Retrieved February 17, 2017. ^ a b American Merchant Marine at War,. "Mariners' Struggle for Veteran Status". American Merchant Marine at War. Retrieved April 20, 2013. ^ Typical departments include the deck department, engine department, and steward's department. ^ On smaller vessels, there may be only one mate (called a pilot on some inland towing vessels), who alternates watches with the captain. The mate would assume command of the ship if the captain became incapacitated. ^ On river and canal vessels, pilots are usually regular crew members, like mates. ^ On inland waters, able seamen may simply be called "deckhands." ^ The size and service of the ship determine the number of crewmembers for a particular voyage. ^ Small vessels operating in harbors, on rivers, or along the coast may have a crew comprising only a captain and one deckhand. The cooking responsibilities usually fall under the deckhands' duties. On larger coastal ships, the crew may include a captain, a mate or pilot, an engineer, and seven or eight seamen. Some ships may have special unlicensed positions for entry level apprentice trainees. ^ "Leif Eriksson: Return to Greenland and Legacy". www.biography.com. Retrieved February 17, 2017. ^ "On the Water - Living in the Atlantic World, 1450-1800: Web of Connections". americanhistory.si.edu. Retrieved February 17, 2017. ^ "On the Water - Maritime Nation, 1800-1850: Enterprise on the Water". americanhistory.si.edu. Retrieved February 17, 2017. ^ "On the Water - Ocean Crossings, 1870-1969: Liners to America". americanhistory.si.edu. Retrieved February 17, 2017. ^ Maine League of Historical Societies and Museums (1970). Doris A. Isaacson (ed.). Maine: A Guide 'Down East'. Rockland, Me: Courier-Gazette, Inc. pp. 280–281. ^ Privately owned, armed merchant ships known as such were outfitted as warships to prey on enemy merchant ships. ^ American Merchant Marine Casualties, USMM, retrieved July 23, 2013 . ^ "U.S. Merchant Marine Flag". U.S. Maritime Administration. Archived from the original on July 15, 2007. Retrieved March 30, 2007. ^ "Military Sea Transportation Service in Korean War (MSTS) by Salvatore R. Mercogliano". www.usmm.org. Retrieved February 17, 2017. ^ a b c d e f g h i j k l "National Defense Reserve Fleet (NDRF) – MARAD". www.marad.dot.gov. Retrieved February 17, 2017. ^ Bush, George W (May 21, 2002). "National Maritime Day, 2002". White house. Retrieved November 22, 2008. ^ "MSC History". www.msc.navy.mil. Webmaster: David Brown; Command, Control, Communications and Computer Systems Directorate; Code N6; phone 202-685-5326 e-mail: webmaster@msc.navy.mil. Approval authority: MSC Public Affairs. Retrieved February 17, 2017. ^ a b c "Ready Reserve Force (RRF) – MARAD". www.marad.dot.gov. Retrieved February 17, 2017. ^ a b c d e f "The National Defense Reserve Fleet" (PDF). United States Maritime Administration. Archived from the original (PDF) on June 20, 2007. Retrieved April 1, 2007. ^ "AMO members serve in military operations, exercises". American Maritime Officer magazine. Archived from the original on July 20, 2006. Retrieved March 7, 2007. ^ "USNS Tippecanoe Demonstrates Logistical Flexibility, Conducts Fueling at Sea with Commercial Tanker". www.cpf.navy.mil. Retrieved November 2, 2015. ^ World Merchant Fleet, Table N-1. ^ "Moving U.S. Forces: Options for Strategic Mobility, Chapter 3". U.S. Congressional Budget Office. February 1997. ^ More U.S. Crews for LNG Tankers; "Training Standards Agreement Goes Forward," U.S. Transportation Department Documents and Publications. June 5, 2007. ^ "Short-Term Energy Outlook". Energy Information Administration. February 8, 2011. Retrieved March 5, 2011. ^ "Securing Liquefied Natural Gas Tankers," CQ Congressional Testimony. Statement by H. Keith Lesnick Program Director, Deepwater Port Licensing Program U. S. Maritime Administration. Committee on House Homeland Security. March 21, 2007. ^ "House panel hears maritime industry's recruiting woes," Shipping Digest. October 29, 2007. ^ "Merchant Mariner Training to Meet Sealift Requirement," A Report to Congress; U.S. Department of Transportation Maritime Administration. August 2004. ^ "With Julie A. Nelson, Maritime Administration," Journal of Commerce. January 21, 2008. ^ "Shell to Recruit U.S. Seafarers for International LNG Fleet for the First Time," PR Newswire. February 8, 2008. ^ "OSG Signs First-Ever Agreement to Train U.S. Maritime Cadets on International Flag Vessels; OSG and Maritime Administration Form Landmark Partnership to Offer Cadet Sea Service Worldwide," Business Wire. October 15, 2007. ^ Nash, James (March 6, 2015). "Sailors stuck at sea turn to basketball and beer". The Salt Lake Tribune. Bloomberg. Retrieved March 6, 2015. ^ "Military Sealift Command Media Center". Military Sealift Command. Retrieved April 1, 2007. ^ "Employment". www.msc.navy.mil. Webmaster: David Brown; Command, Control, Communications and Computer Systems Directorate; Code N6; phone 202-685-5326 e-mail: webmaster@msc.navy.mil. Approval authority: MSC Public Affairs. Retrieved February 21, 2017. ^ "Sealift -- MSC completes annual Antarctic supply run". www.msc.navy.mil. Webmaster: David Brown; Command, Control, Communications and Computer Systems Directorate; Code N6; phone 202-685-5326 e-mail: webmaster@msc.navy.mil. Approval authority: MSC Public Affairs. April 2012. Retrieved February 17, 2017. ^ "Sealift -- MSC's Arctic Resupply Mission to Thule Air Base". www.msc.navy.mil. Webmaster: David Brown; Command, Control, Communications and Computer Systems Directorate; Code N6; phone 202-685-5326 e-mail: webmaster@msc.navy.mil. Approval authority: MSC Public Affairs. October 2016. Retrieved February 17, 2017. ^ The NDRF was established under Section 11 of the Merchant Ship Sales Act of 1946. ^ The NDRF had 251 ships as of August 31, 2006. On January 1, 2003, the number was 274 vessels. ^ NDRF anchorage sites were originally located at Stony Point in New York, Fort Eustis in the James River in Virginia, Wilmington, North Carolina, Mobile, Alabama, Beaumont, Texas; Benicia in Suisun Bay in California, Astoria, Oregon and Olympia, Washington. ^ The Ready Reserve Force was originally known as the Ready Reserve Fleet, and consisted of 6 vessels. As of 2007, the RRF included 58 vessels, and this number has dropped to 46 as of early 2017. ^ Department of Labor, Bureau of Labor Statistics (October 2, 2015). "Employment by industry, occupation, and percent distribution, 2014 and projected 2024: Occupation Code 53-5000, Water Transportation Workers". www.bls.gov. Retrieved February 17, 2017. ^ "Federal Civilian Marine Employment with Military Sealift Command". www.msc.navy.mil. Webmaster: David Brown; Command, Control, Communications and Computer Systems Directorate; Code N6; phone 202-685-5326 e-mail: webmaster@msc.navy.mil. Approval authority: MSC Public Affairs. Retrieved February 17, 2017. ^ Maritime academies include the federal United States Merchant Marine Academy in Kings Point, New York; Maine Maritime Academy in Castine; Massachusetts Maritime Academy in Buzzard's Bay; State University of New York Maritime College in the Bronx; Texas Maritime Academy in Galveston; California Maritime Academy in Vallejo; and Great Lakes Maritime Academy in Traverse City, Michigan. ^ a b "Maritime Academies | MARAD". www.marad.dot.gov. Retrieved October 16, 2015. ^ a b "New Hope for Turnaround at Troubled Service Academy". New York Times. August 30, 2012. Retrieved September 13, 2012. ^ "J. B. Williams, Judge, New York City Official". The New York Times. April 19, 1992. Retrieved April 3, 2017. ^ Cruikshank, Jeffrey L.; Kline, Chloe G. (2008). In Peace and War: A History of the U.S. Merchant Marine Academy at Kings Point. John Wiley & Sons. p. 229. ^ Price, Scott (January 12, 2011). "History: Women at the Coast Guard Academy". COAST GUARD COMPASS, OFFICIAL BLOG OF THE U.S. COAST GUARD. Retrieved February 16, 2017. 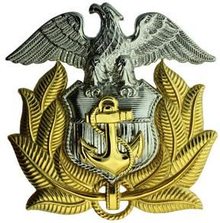 ^ a b COMMANDANT of MIDSHIPMEN NOTICE 5000, dated 2016-01 (January 2016). "Regimental Calendar for Academic Year 2016–2017, from June 18, 2016 to June 19, 2017" (PDF). UNITED STATES MERCHANT MARINE ACADEMY KINGS POINT, NEW YORK. Retrieved February 16, 2017. ^ "USMMA's Acceptance Day Weekend Will Celebrate Plebe Accomplishments". U.S. Merchant Marine Academy. February 21, 2014. Retrieved February 17, 2017. ^ a b "10 U.S. Code § 651 - Members: required service". LII / Legal Information Institute. Retrieved January 16, 2017. ^ "46 U.S. Code § 51311 - Midshipman status in the Navy Reserve". LII / Legal Information Institute. Retrieved January 16, 2017. ^ "CSUM | Guest » Cal Maritime Homepage". www.csum.edu. Retrieved October 16, 2015. ^ "Maine Maritime Academy - A COLLEGE OF ENGINEERING, MANAGEMENT, SCIENCE, AND TRANSPORTATION". mainemaritime.edu. Retrieved October 16, 2015. ^ "Massachusetts Maritime Academy". www.maritime.edu. Retrieved October 16, 2015. ^ "SUNY Maritime College". www.sunymaritime.edu. Retrieved October 16, 2015. ^ "Texas A&M Maritime Academy". www.tamug.edu. October 8, 2015. Retrieved October 16, 2015. ^ "Home : Great Lakes Maritime Academy at Northwestern Michigan College". www.nmc.edu. Retrieved October 16, 2015. ^ "Frequently Asked Questions (FAQ) | SUNY Maritime College". www.sunymaritime.edu. Retrieved February 17, 2017. ^ "Strategic Sealift Officer Program, Frequently Asked Questions" (PDF). SUNY Maritime. December 31, 2013. Retrieved February 17, 2017. ^ Note: Midshipmen are expected to use their $8,000 annual student incentive payments (paid quarterly, up to $32,000 over 4 years) to defray any costs of uniforms, books, and subsistence not covered by the Academy or State. Breach of contract, either before or after graduation, subjects the recipient of at least 2 years of such payments to recoupment, partial recoupment, waiver of indebtedness, or required military service in the Armed Force of the MARAD Administrator's choice (as approved by the Secretary of Defense or Homeland Security) of up to 2 years. ^ Shipping Out; Maria Brooks producer. The United States Merchant Marine Academy in Kings Point also changed its admission policy in 1974, becoming the first national academy (two years ahead of, Navy, Air Force or Coast Guard) to enroll women  Archived 2007-03-11 at the Wayback Machine. Historically, women who wanted to ship out encountered prejudice and superstition. Their hands-on seafaring experiences were largely limited to voyages as the captain's wife or daughter. Subsequently, some women chose to ship out by disguising themselves as men. ^ "Basic Limited Tonnage License Requirements" (PDF). ^ The full name of the "Seaman's Act" is "Act to Promote the Welfare of American Seamen in the Merchant Marine of the United States" (Act of March 4, 1915, ch. 153, 38 Stat. 1164). ^ The Seamen's Act specifically applies to vessels in excess of 100 gross tons (GT) but excluding river craft. ^ The Seaman's Act was initially proposed in 1913, but took two years to pass into Law, by which time the war had started. ^ "Adoption of Amendments to the International Convention on Maritime Search and Rescue, 1979" (PDF). Archived from the original (PDF) on June 20, 2007. Retrieved April 5, 2007. ^ "Jones Jp Chron". www.history.navy.mil. Retrieved October 17, 2015. ^ "Horton first woman to earn veteran status as WWII merchant mariner". Daily Advance. 2017. Retrieved March 7, 2017. ^ a b "O'Hara, Edwin Joseph | Kings Pointers in World War II". kingspointww2.org. Retrieved November 2, 2015. ^ "U.S. Coast Guard History". www.uscg.mil. Retrieved January 19, 2016. ^ Bates, Stephen (November 25, 2011). "Kerouac's 'lost' debut novel is published 70 years after its conception at sea". The Guardian. ISSN 0261-3077. Retrieved January 17, 2016. "American Merchant Marine at War". usmm.org. Retrieved April 1, 2007. "Casualty statistics World War II". usmm.org. Retrieved April 1, 2007. "GAO-14-93, MILITARY PERSONNEL, Actions Needed to Improve Evaluation and Oversight of Reserve Officers' Training Corps Programs" (PDF). United States Government Accountability Office, Report to Congressional Committees. Retrieved February 4, 2017. Gibson, E. Kay (2006). Brutality on Trial: Hellfire Pedersen, Fighting Hansen, And the Seaman's Act of 1915. Gainesville, Florida: University Press of Florida. p. 225. ISBN 0-8130-2991-0. "The Merchant Marines in the Korean War". United States Army. Archived from the original on July 16, 2007. Retrieved April 1, 2007. Herbert, Brian. "review of The Forgotten Heroes: The Heroic Story of the United States Merchant Marine". Retrieved April 1, 2007. Marvin, Winthrop L. (1919) . 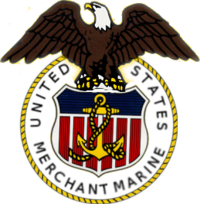 "Merchant Marine of the United States". The Encyclopedia Americana: A Library of Universal Knowledge. 18. New York and Chicago: Encyclopedia Americana Corp. pp. 657–664. Retrieved April 20, 2008. Pro, Joanna (May 30, 2004). "Unsung Heroes of World War II: Seamen of the Merchant Marine still struggle for recognition". Pittsburgh Post-Gazette. Retrieved April 1, 2007. "Recipients of Merchant Marine Distinguished Service Medal". usmm.org. Retrieved April 1, 2007. Thomas, Guy. "A Maritime Traffic-Tracking System: Cornerstone of Maritime Homeland Defense". Naval War College Regiew. Archived from the original on May 17, 2006. Retrieved April 1, 2007. Thomas, Michelle. "Lost at Sea and Lost at Home: The Predicament of Seafaring Families" (PDF). Seafarers International Research Centre. Cardiff University. Archived from the original (PDF) on June 20, 2007. Retrieved April 1, 2007. "United States". CIA World Factbook. Retrieved March 13, 2007. 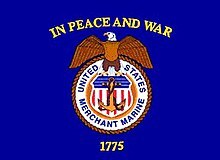 "United States Merchant Marine Served in all Wars Since the Revolutionary War". usmm.org. Retrieved April 1, 2007. "World Merchant Fleet, 2005" (PDF). U.S. Maritime Administration. p. 9. Archived from the original (PDF) on February 21, 2007. Retrieved March 13, 2007. Wikimedia Commons has media related to United States Merchant Marine. Women and the Sea: The Mariner's Museum.